Swartz & Swartz, P.C. has been among the best and most successful Boston personal injury and wrongful death law firms since the 1970’s. Our top injury lawyers represent clients in all types of accidents, catastrophic injury, wrongful death, medical malpractice and product liability claims in Massachusetts, New England, and throughout the United States. Our Massachusetts personal injury lawyers specialize in helping victims of traumatic and catastrophic injuries as the result of negligence. We have extensive experience e with all types of injury cases and can put our legal expertise to work for you. 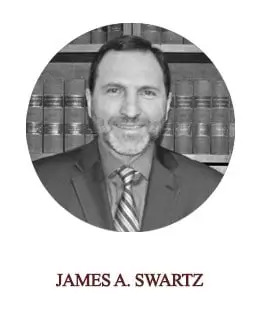 Mr. Swartz, a Principal and the Managing Attorney at Swartz & Swartz, P.C., is a nationally known and respected trial attorney and consumer advocate. Mr. Swartz is “AV” Peer-Review rated (highest rating) by Martindale-Hubbell, a certification reflecting that his peers rank him at the highest level of professional excellence. He has been named a “Super Lawyer” by Boston Magazine every year since 2004. He has been a member of the American Trial Lawyers Association since 2008, meeting the standards of excellence for selection to the “top 100 trial lawyers” in Massachusetts. In 1976, Edward M. Swartz, who had worked as a child in markets in the Haymarket area, rediscovered The Hancock House which is the oldest brick building in the city. It was neglected, unoccupied and in danger of becoming permanently lost in a city heady with wrecker balls and renewal.